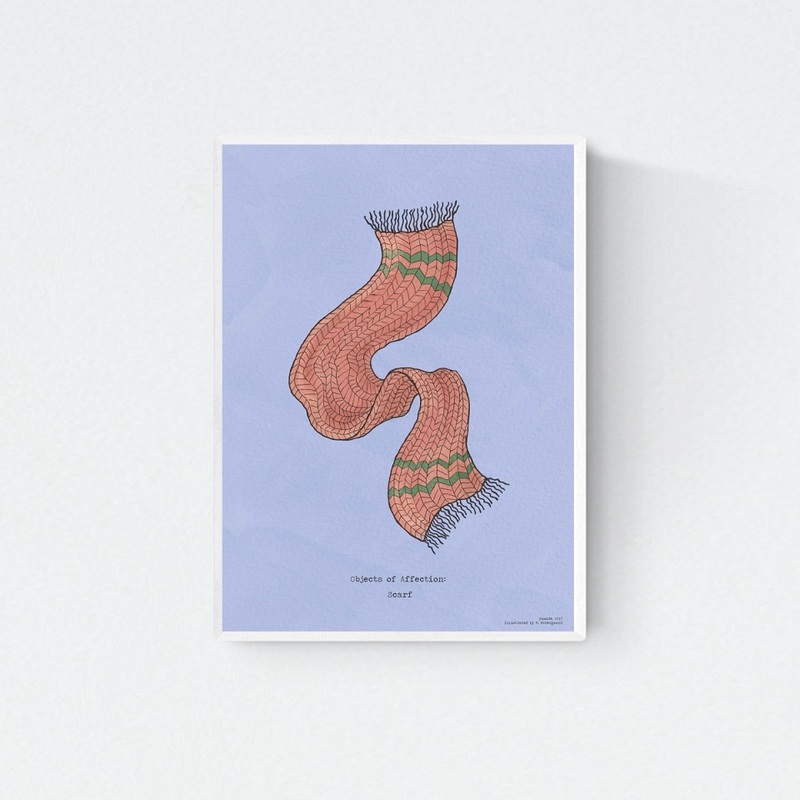 “Objects of Affection: Scarf” is an illustration of a hand-knit scarf by our honorary founder and mother Hamide, which was a present to our father Metin when they were engaged. So, we are guessing that it could be 1978. More information and the product details can be found below. In the collection “Objects of Affection” we explore and present some of the objects we hold dear to ourselves for their design and stories. Objects are powerful. They produce culture. They create or transform our behaviors. We explore our history through them. They help us understand who we were, who we are, and who we may become. They stimulate our feelings. They bring out memories. They make us happy, unhappy, confident, insecure, safe, comfortable. Creating an object is a journey. It is a learning. It is an experience which transforms us. We appreciate objects. An object is a design and we appreciate design. Designed in 2017 in Copenhagen.